New design offers 5 times the filtration area for ultra clear water. View even the smallest fish at the bottom of your pond. 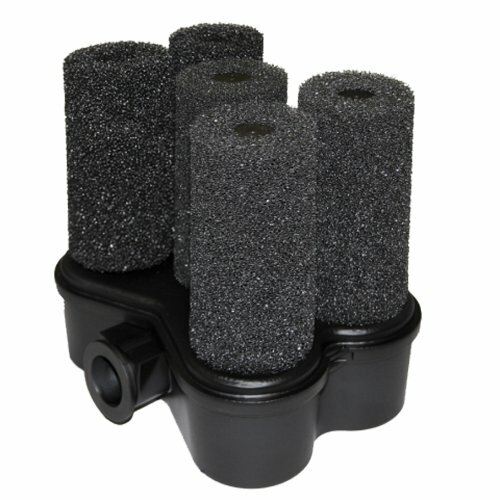 Easily attach the Beckett 5X Biological Filter to a fountain or pond pump for up to 18 months of filtration. This pump is designed specifically for use with model FR400. For use with model FR400. Easily attaches to the pump. Rinses off in water. Made in the USA.